This is the fourth of five wines that I'll be reviewing for Llano Estacado out of TEXAS! Yes, TEXAS! I started with the 2016 Pinot Grigio, then 2015 Viognier, 2015 Signature Red, now 2015 Cellar Reserve Chardonnay and finally 2014 THP Montepulciano. 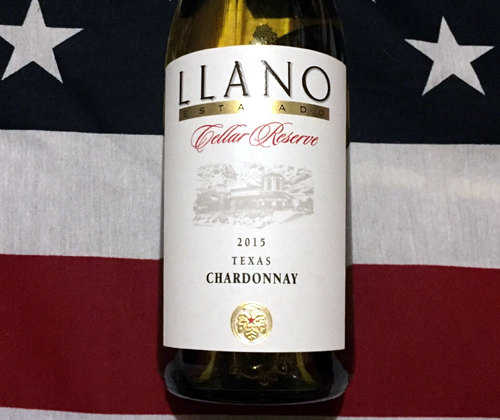 The 2015 Cellar Reserve Chardonnay is 100% Chardonnay, mostly from the Mont Sec Vineyard. It was cold fermented in stainless steel before spending 318 days on the lees in neutral French oak. It saw complete malolactic fermentation and has a 13.2% ABV. Leading into Valentines Day I wrote a love letter to Chardonnay and I meant every single word of it. It's become the top love of my wine life. Don't mess this up, Texas. The wine is a very attractive gold in color. Upon the very first sniff I can smell the butterscotch and the vanilla telling me that I'm home. There's also aromas of pineapple and ginger hanging out. It's medium bodied, creamy in mouthfeel and low in acidity. There's a musky flavor on the palate along with chunky pineapple, canned pear juice and banana phloem. It finishes with chunky pineapple, oak, and a little touch of butterscotch. This is a nice Chardonnay that I really enjoyed, especially the nose, but I think $20 might be a little bit too much. So I'm sticking it right between Satisfying and Recommended in price vs quality. You can always find this place packed on a weekend night and sometimes they host parties that you can't get into, but other than that happening every once in a while this is the place to be. These event locations have nice upstairs and down stairs area.